While fans still have yet to experience Little Mix's Get Weird album in all of its glory, they have released a few songs that hint at what we can expect. One of those tracks, "Hair," is the sassy, tell-it-like-it-is breakup anthem we all need. In a new interview, it seems like Perrie Edwards confirmed "Hair" is about Zayn Malik. Whether or not "Hair" is about Malik, there's no denying that it's a great breakup anthem. 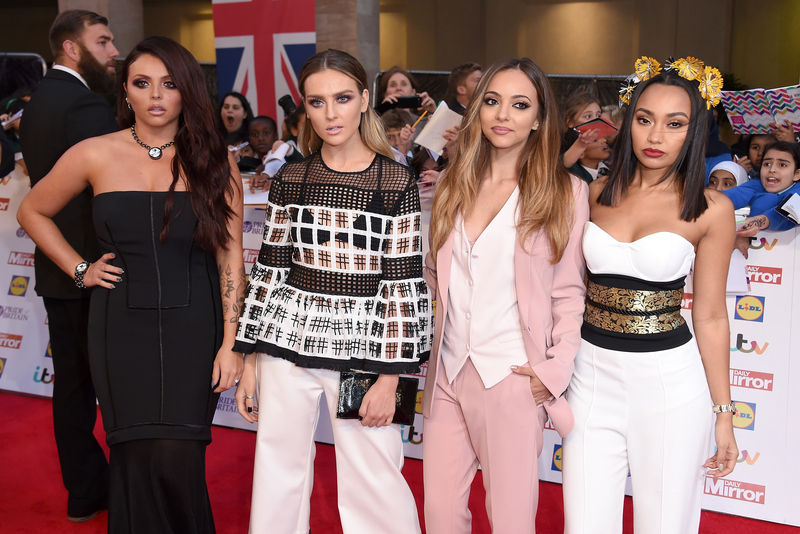 In fact, everything we've heard about Get Weird signals it will be an empowering album for any woman. Here are 11 reasons why. "All the girls on the block knocking at my door! / Wanna know what it is make the boys want more!" Little Mix sing, calling to mind their previous song, "Salute." "Gotta get him out my hair," the band chant, reminding us that we don't need a man to be happy. "We just wanted to have a title that showed us off for the crazy girls we are! We just wanna have fun!!" Pinnock tweeted. Although the girls get their hearts broken in "Love Me Like You," it's a gentle nod to the lasting power of female friendships. While speaking of the album to Shazaam, Pinnock explained, "We just wanted to show our personalities off, show people that we don't take ourselves too seriously. We love having fun, and together we have such a strong bond, and I think everyone needs to know that." Little Mix are at peak empowerment when they belt about lessons learned. Showing off their geeky sides, Little Mix's "Black Magic" video is all of us. Jesy Nelson confirmed the album is happy and uplifting, which is a great tone for empowerment. Each of these songs encourages the listener to be self-assured. Listen to any song from Get Weird and you know that Little Mix aren't afraid to be heard. They're spreading their message and the fans are more than excited to hear it. Here's to Little Mix continuing to empower their fans with each album.